Egg Roll-Plus is an awesome hidden gem in the Eau Claire area. They offer only the freshest ingredients on their menu of food from Thai to Vietnamese to Laotian to Chinese cuisine. 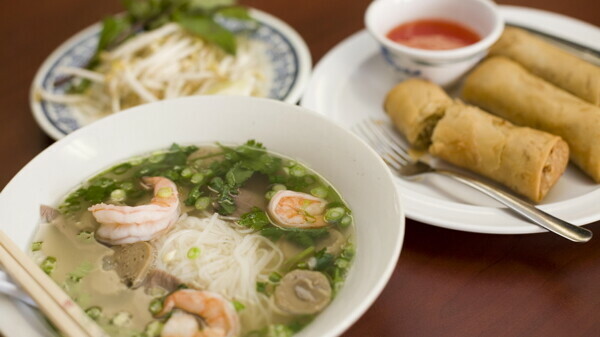 They have insanely delicious red curry, stir fries, noodle dishes, soups, amazing pho (a favorite of regulars), and of course their homemade egg rolls. Their modest dining room and generous portions make you feel like you're in someone's kitchen. Vegetarian friendly, carryout available. Amazing food! Top spot for lunch!! My favorite restaurant in Eau Claire. Amazing egg rolls but so much more. I've had many items on the menu and not one was less than amazing. Very quick service and great prices. The best egg rolls ever!